Seems there's going to be a government. After weeks and weeks of negociating there seems to be coming a new government. It looks there is a deal about the governamental plan, although the different parties have to discuss it with their members and one of them also has on Saturday a big congress meeting of their party. There they will have to gain majorrity votes of the members and then we will have a new government. It's complicated to explain all the steps necesary to get the program effective so I keep far from it. When this is done we will hopefully hear a bit about their items and the program and measurements they will take for the coming 4 years(if this government will last that long LOL). I am still not convinced that this is the right government for our country, but we'll see how it goes. I even scrapped a few of the pics I made during our walk in the town of Leiden. It looks always better to see pictures scrapped, doesn;t it? I used my own kit, Past, Present and Future for it. In the last layut I put in a detail of the picture in the little square. So you can see I was rather busy yesterday, LOL! I still have to scrap a lot more pictures of our walks, I will try to do some each day, otherwise they just stay on the computer and that's no good. If I scrapped the ones I want to keep I can delete the rest of them. 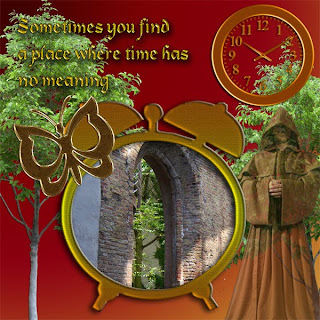 Tomorrow there will be starting a new download serie on our magickal Scraps forum, only we will change it into weekly downloads , for October a few members of the CT had no possibility to make some stuff for it, so we were left with only 3 and also because there is much going on in the lives of some of them, we decided to only make this weekly downloads. Otherwise it would have been too much work for us. 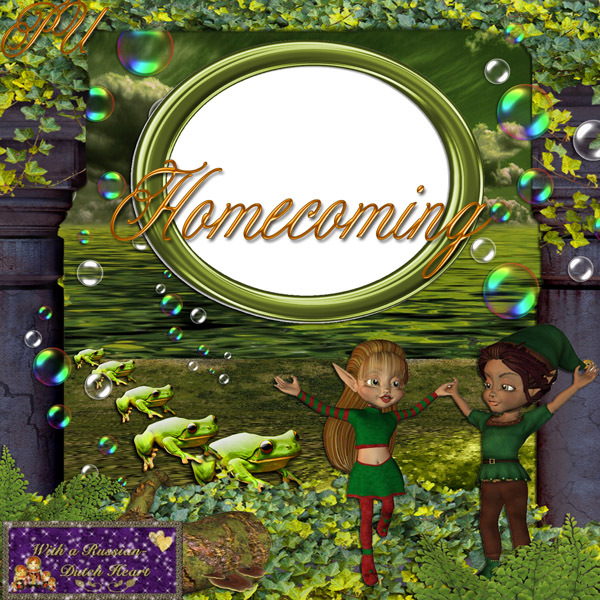 So I am real sorry to announce this, but let's keep looking at the bright side: There still is a free download, theme based, at our forum LOL! 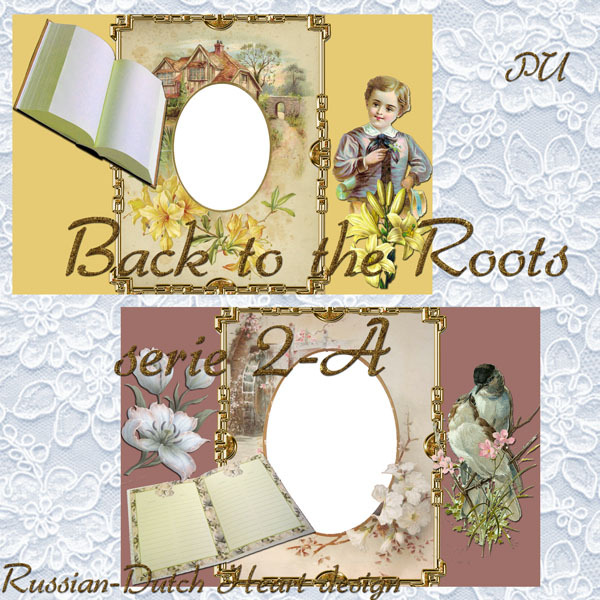 Today I have the start of another serie of "Back to the Roots"brag book pages. With thanks to Farfarhill for the great photo frames! Now you all have a magnificent day! Wow, I did hard wok yesterday! I was dusting the room and arriving at my grand paino it wasn't looking very bright. It needed a good polishing. So I took the special stuff I have for polishing politour and started with it. But that is really hard work! After about half an hour of it, I was a itsy bitsy pooped out by it, but a big part is done and the piano is shining again. Still have to do some parts of it another time. The stuff I have for it is really amazing, I got that once from a piano dealer I knew, it wasn't cheap, but it's what they use for the piano's. Was a good thing I already had the meat prepared for dinner, it was tasting okay, and really tender. Still have a bit left, I think just enough for Jan this evening so I'll make myself some spaghetti bolognese, yummie! At the moment we have a bit of strange sort of weather. On tv they say it can rain, which it does sometimes, but on the other hand there is also blueish sky and sunshine. The kind of weather that makes it difficult to decide what to wear, and not knowing if you should take an umbrella or not when you go out. Confusing LOL! What is great at the moment is that idea's for designing are a bit back! 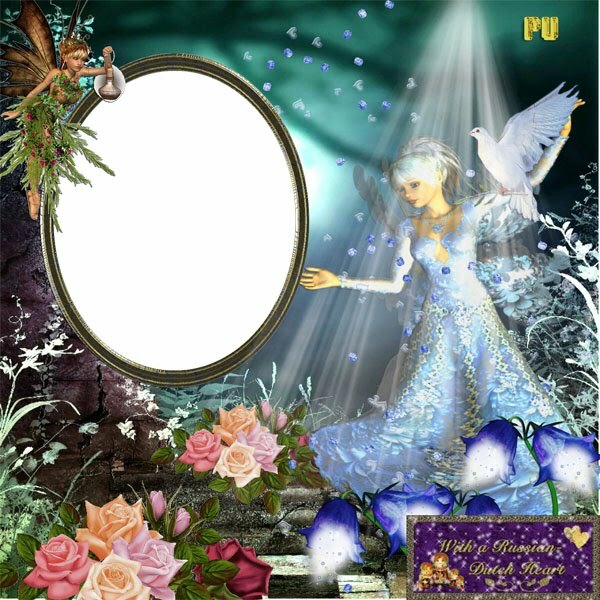 I am having a lot of fun making quickpages for Minky's special blog, mainly with the gifts she offers on it. 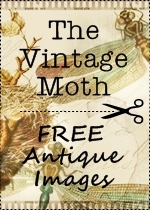 If you want to see what I've made go there and on the top of the blog you can read how to download . But I also started working on the November downloads for the forum and even started with a Christmaskit, terrible hmmm, to be busy with Christmas already??? But time goes by so quick, I better can have some ready in advance. Oh we had such a great surprise this night, yak!!! At about 02.30 in the night I woke up by a terrible irritating noise, coming from outside. So I went looking out of the window and saw that a crew was busy at the trail of the tram, removing the grit between the rails and putting on new. But the machine that dug out the old stuff was making a real hard noise. Should have been nice of the company to let us know about it, but that was probably too much trouble! It lasted about an hour and then they had moved on far enough so the noise couldn;t almost not be heard. Can you picture two sleepy and disturbed birdies on the couch in the middle of the night? Meaning Jan and me LOL! We really weren't amused by the event! Okay, let's see if the weather stays a bit nice today, think I will take some fresh air for a moment, I can do without that for a day, but then I really like to have a little walk and be outside, if only for half an hour. 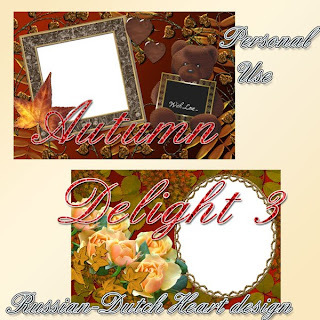 Today I have a kit for you, in Autumn colours, rather appropiate for the time of year LOL! 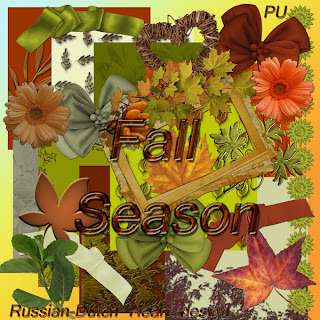 Named "Fall Season", hope you can do some nice layouts with it. Have fun and a lovely day! Yesterday after posting and playing a bit on the computer I went out for some shopping. I had to take my umbrella, cause it was raining almost all day. Today it looks to be a bit the same weather, so if not needed I'll stay inside. In the afternoob I already prepared the meat we wil have today, because it has to be on the stove for hours to get it tender. Further on the day passed by as many others, and today should be at least be filled with a bit of ironing. But yesterday evevning late I had a lovely little surprise. As it was the last Monday of the month, there was again the card players evening in the cafe and with that they always sell tickets for the lottery. So Jan went there to buy a few(they only cost € 0,50 a piece) and you will never guess what he came home with! A nice box containing a Christmas village, illuminated!!! there are 5 buildings, a lantern pole and three little groups of people. I was jumping up and down on the couch when Jan showed it to me! LOL! Really happy as a child I was! Perhaps stupid, but I always liked to have such a village, but never bought one, cause I found them rather expensive and now this year we will have one! Whoopee! 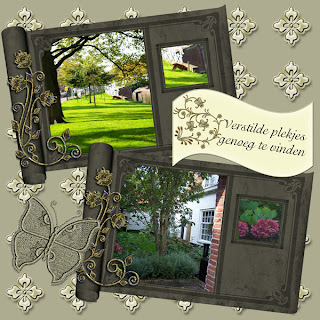 And made one of the window with "Jan's plants"LOL! 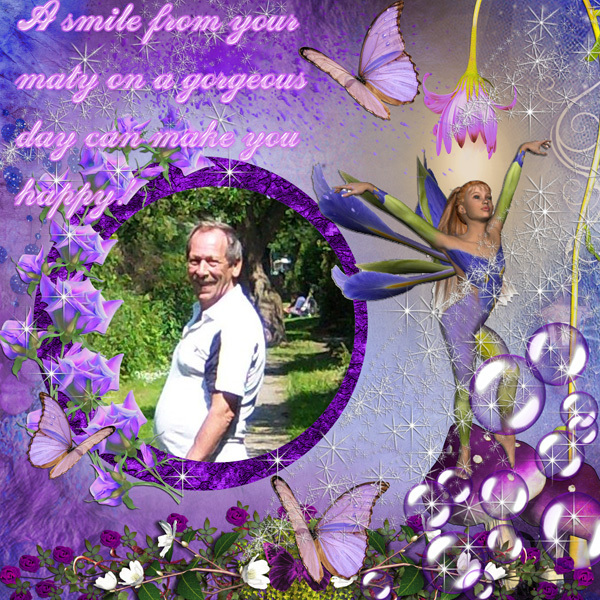 Oh yes, when Jan was away in the evening, I've made a quickpage for Minky again, if you like to have it go to her blog and read all about how you can get the link. There is left the 3rd part of "the "Fellowship"serie so here you are. I had an early start today, I was awake at about 06.00 in the morning, tried to get back to sleep, but after a while, tossing around, I thought I better got up and take a coffee. So Also my computer morning started a bit earlier. Not so much for the posting, but I did already some hop blogging and mail reading etc. Oh we had a real quiet weekend this time. Friday the weather was still gorgeous, so in the afternoon I went to the fair in the neighbourhood. It was, as expected, about the same stuff as always, but is was nice walking in the sun and I bought myself a little sweater and had a yummie sandwich with warm bone-ham. You can notice that season is changing, not only by looking around in nature but also by the behaviour of our cats, especially Dikkie Dik. it's the one who is the most outside, but this last week he comes in more, and in the evening he likes to spend some time on my lap! Then at night he is checking the neighbourhood again, although I already found him two time on the couch in the morning when I woke up. I was rather busy on the computer, had to pack up some stuff for the forum, and also made some new things, even started already on the forum download for November! Also sorted out and re-arranged some folders on the computer, have to do some more and when that is done, I should do some cd-burning too! I always push that ahead, but I must really do it, don;t want to loose the kits I've made the past few months. And you never know with computers! Did you had at the news, there was a computer worm discovered in Iran, on about 30.000 computers! It was a really bad one, who could take over the computer. I don;t wanna think about it, brrrrr. I have today the second part of the Fellowship bragbook pages. At the moment I am not making a lot of kits, but I have a small one ready for Halloween! I will post that somewhere in October. Now I think I am really in need of another cup of coffe, I am not used anymore to be up so early LOL! I am happy to say I actually did some of the things I had kind of planned. Hoorray for me LOL! Still something left, as there is always, but no big deal. So may be, if weather stays at least dry, it will be a nice break to go to the fair and see what stuff they have. With no further delay we will continue our walk through Leiden, yes? And there was also a beautiful looking fuchsia bush, just begging to be captured with the camera. And not much further another one, not bored yet by all those courtyards? To have a bit of idea through what streets we walked here a shot of one of them, some were even smaller! And then it was time to have a little break, so we found ourselves a nice cafe, to have a malt beer for Jan and a cappuccino for me. Oh, a bit back we also passed the market, and there I saw the most delicious dried sausages and they had an offer that you got some reduction on the price if you bought three. Well, you guess right, I bought them. In the evening we tasted a few slices of one of them and it was delicious. This one even had small parts of walnuts in it, yummie. Here the picture of the cafe from across the street, and so funny, the name of the place was: "The Friend". I think we sat there fo about 15 minutes and then carried on, direction station again and go home. But there was still another surprise waiting for us. We stumbled again on the entrance of a courtyard, so I entered, but after passing the small, small alley, I came in a little place with kind of garages, well, I think it were more sheds, walked left around it, couldn;t go on. Walked right around it, hey, another alley, again sheds, so I almost wanted to give up but saw another passage through and tadaaa, the most lovely courtyard reveiled itself. It was the funniest one, because you couldn;t ecxpect it after passing all these sheds! And here ends our walk. We took the train back and ariived at home at about 17.30 afternoon. Great day! Can you imagine the week is almost done with again_? Its Friday already and just one more week to go and we are entering the month of October! Hmmmm, it's going fast, so we better take it day by day LOL! Today's freebie another serie of bragbook pages, I am afraid. 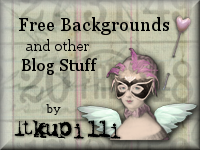 But I found some lovely free to use background, that I cropped a bit and they were just perfect for some fairy pages. I ALWAYS love making fairy stuff. So here we go, with the first part of "Fellowship". After this post I will ave to post on the forum, it's my last day of posting there for this month. 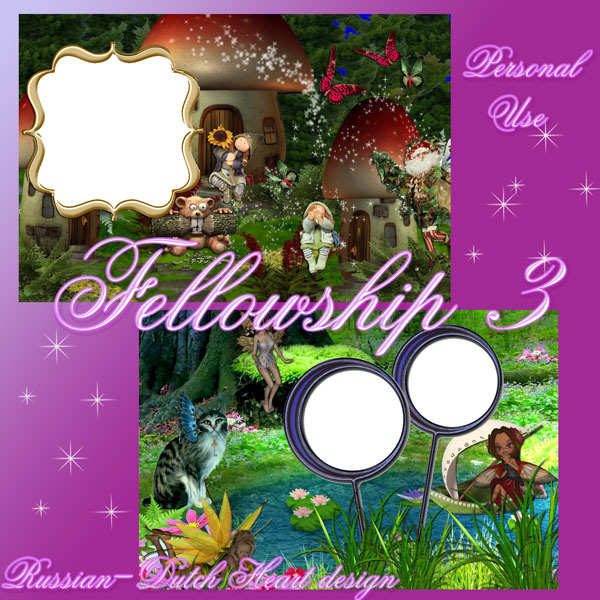 Hope you will like the "Fellowship"serie, have a fabulous weekend! Oh my, what a gorgeous weather it was. Sun, blue sky, almost no wind and temperature around 75 F.
You couldn;'t have asked for more! And we did take advantage of this. I started yesterday vaduuming the house and then Jan suddenly asked me if I was ready. For what? I asked. Well, to go to Leiden as you already wanted to do for a long time and it's the right weather for it today, so let's go!. So suddenly I had to hurry up, and off we went, with tramway to station and there we took the train. That already was a kind of treat for both of us LOL! I cannot remember when I was in a train the last time, but for Jan it was at least 10 or 15 years ago! The town of Leiden isn;t at great distance, about 20 km at the most, so we were real quick at our destination. I had already prepared a whole list of little court yards to visit, but we ended up seeing just a few, we'll have to go back another time, because there were a bit scattered through town. But we enjoyed so much our walk through the town, it's a lovely old town centre, with lots of old fronts , all around little streets or even just allies, that demand a closer look LOL, but then you will find the loveliest things. I have pictures for you, and also have some links where you can read a bit of the towns history, if you want. We only did a part of the town, as I said, we surely will go back another day, then also to visit some musea. Well, you only can do two perhaps on one day, but there are some really interesting ones. I'll just have to see the Hortus Botanicus(Botanical Garden) and we also want to visit for sure the National Museum of Ethnology.Without further delay now some pictures, I think I will split it up in two days, I have to many for one post, hahahah. More Dutch it almost cannot be, hmmmm, leaving the station this is about the first you see. After a little while this is about the first courtyard you can visit, I don;t know why, but I have a kind of crush on those places.! The St. Elisabeth Gasthuishof knows a rich history. 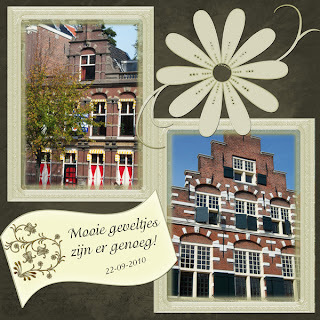 In 1428, the rather rich Jan Dirk Coenenzoon and its wife Katrijn founded the house as hospital for ill women. Their hospital in the downtown of Leiden was devoted to the saint Elisabeth of Thuringen. This Elisabeth spent her short life looking after ill people. In 1575, the nearby situated St. Ursulaklooster and it's chapel were added to theis hospital After 1760, it got into financial trouble and the house got varied destinations. In 1963 a foundation saved it from decay, repaired it in its old splendor and brought back the historical position as a nursing home. In 2008 is the hospital was renovated within the historical style and serves again as a hospital. It's a pity I couldn't take a better picture of this gorgeous "watch"cat LOL. It was a beauty! A view on one of the canals always so great to see. And another one, and see how inviting this looks, all around there are little cafe's and restaurants, and with this great weather of course a lot of people enjoy it this way! Here one of those typical houses, you see loads of them! Crossing a bridge I saw this, thought it was a beutiful view. It was a little parc, so we entered that, and it was lovely. Walking again over the bridge you see on the picture above, to the right, I saw this house, also a beauty. And here our walk stops for today! I really had a terrific day, it felt like a kind of little holiday. and perhaps some grocery shopping so that the weekend I will be "free". There is going to be another fair, the"autumnal"one, near to our street, so perhaps we will take a look there tomorrow or Saturday. Also in the evening we had a bit of bad news, Jan went for a moment to the cafe and he heard there that a friend of us, not a real close one, but we know her, seemed to be in hospital after probably a heart attack and that she had an angioplasty( I am not sure about the word, but the open a blocked vain with a little tube). To hear something like this always gives a shock, the more as she was only about two weeks ago here for a short visit.! Hopefully we will have more detailed news today about the whole event. This wasn't the kind of way a lovely day had to end! Cross fingers it was only a real minor stroke and surgery, and she will be home soon! Pfff, al together this was a rather long post! 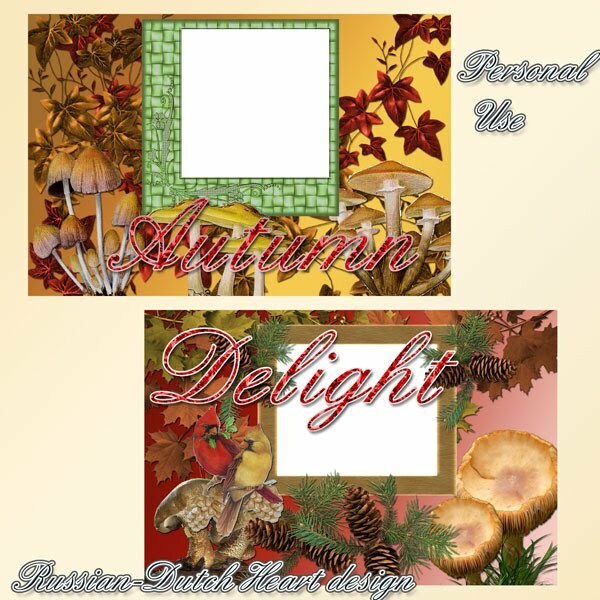 Time to finish it with the 3rd set of Autumn Delight. September is still doing nice! We did watch a bit the tv yesterday afternoon, for the speech of the Queen. As we already expected, it wasn't very optimistic, well, things aren't going too well in the country, so there will have to be huge reduces on the budgets of all kind of things, and in the end the civilian is paying the price, cause government didn't do a proper job. Of course there was the ecomonic crisis, but.............that was already starting some years ago andI think a lot is to blame to the banks. And if not so, then you always have the overruling National Bank that could interfere with the policy of the banks. Okay, I will not discuss this any further, but in all it's not going to look bright for the next few years. certainly not for the lower and middleclass incomes. Hey, I did do the windows yesterday. Inside and outside, wheeeeee!!! They still don;t look real blinkie, blinkie, I always seem to have difficulties to have them real stripeless. But at least you can look through them again LOL and I also washed the curtains, and boy, the water had a very strange colour!!! So that's all fresh again. In front of the window we have window sill and there are always a few plants on it. But they were looking a bit pityfull, so in the last couple of weeks I bought some new ones. I kind of gave them to Jan, he was picking on them and me a bit. I didn;t take good care of them and he was right. So funny, I do the garden and know when and what to do, but the few plants inside I always seem to forget. I put him in charge now LOL, and he is really nursing them hahahahaha! Jan had to fix a shelf in one of the wardrobes. You know the little pins on which the shelves rest??? Okay, one of them broke off so the whole shelf tumbled down, with all his sweaters on it. Must have been a bit of a mess, I even didn;t want to take a look(I really didn't) , at least it had some use! Jan went a bit through his clothes and sorted them out . Hoorray, again we did get rid of some! What else happened yesterday? Oh of course! I got a phonecall from Heidi! We were both laughing as we asked eachother if we were still alive! It was really for weeks already that we didn;t had a little chat. Aweful but true! I think we talked about half an hour on the phone! We know again all that happened in our lives LOL. It's time now that I make a little visit there next week, to talk face to face also, I have some seeds collected from my garden that she wanted to have and even have a completely new sweater from Jan, he doesn't wear. I also finished a kit yesterday, yeah, finally I;ve made a little kit again! And I made a few quickpages for Minky, I will show you tomorrow. So that's about it, but I also have the second two pages of Autmn Delight for you. Looks to be another lovely day, September is still a bit nice to us, I see blue sky, almost no wind, may be a good day to spend some time outside, we'll see. Time for another coffee and then time to hop into shower and get dressed and move around. It's the 3rd Tuesday in September, so today is the Prinsjesdag, always start of the new year of the government, with a speech of the Queen, about the program of the government. Only this year it's a weird day, cause we don;t have yet a new government. So she will be reading the program that was made by the old government, which still is there in a way, but it may be that in a few weeks there will be presented a whole different program by the new one. Strange!!!! Despite of a bit stronger wind it was not too bad weather yesterday. I did my shopping and found myself 2 sweaters for the colder days and a nice grey leatherlook jacket. Should have made a picture of it. Well, I may do so today, also from the carpet, to show you. May be today would be a great day to clean the windows, also not one of the favourite jobs of mine, but they could do with a sponge and some water LOL! I don;t have much to tell today, it was a rather ordinairy day yesterday, which went well, but that's all. May be there will be more to tell tomorrow about our Prinsjesdag. I will watch it a bit on tv, the nicest thing about it is to watch all the hats the ladies always wear. Specially on this day it has become kind of tradition. And nicest thing of course is the comments Jan and I can give on it, LOL!! "Autumn Delight"Hopefully you can do something with them. There are 6 pages in total, each day there will be 2. Till tomorrow, have a wonderful day! Oh gosh, I had a creative weekend!!! I had a terrific weekend. Already Friday evening, I started with a bit of designing, had suddenly some ideas and then I just have to try it out. And Saturday looked good, concerning the weather. As there was a little fair not far from our home, we went to take a look in the afternoon. Oh my, we had a good laugh there, I'll show you a bit further in the post. But in one of the first stands we passed, hey, we suddenly saw a real nice carpet, just great for our room and for a very small price. Okay, quality might not be that good, but I am sure it will hold several years so we bought it and brought it home. And what a different look the room suddenly has!!! I am sooooo happy with it. I didn;t yet take a picture of it, I will do so somewhere this week. After placing the carpet we went back to the fair and there we had a laugh, cause we stumpled into a competition of "strong men of South Holland(our province)! They had a competition of truck pulling for couples! It was all about who could pull the truch with ropes in the shortest time over a certain distance to the finish. It was real fun to look and I made a couple of pics from it. And here the truck they had to pull, not a really small one! We watched it for some time, there were quite some competiters! As I said it was great weather, nice sunshine, and nice temperature, so after a while we walked on to look what they had on all the stands. If was the usual stuff, of clothes, gadgets, lots of food etc. I even bought already a little Christmas present for somebody!!! Can't say what it is, it would spoil the surprise for my friend, hahahaa! Talking about food there always is this stand, of typical Dutch treat: it isn;t know in other countries in this form, but you can best describe it as very littl pancakes, here called"poffertjes", you eat it warm, with some real butter on it that would melt then and lots of icing sugar, yummie!! It's a sweet treat. In the same stand you also can have big wafles. And then we passed an always very dangerous shop, that has on these days an enormous offer of..........plants! I took a pic of it, but it's only of a small part of the stuff they had on the street. But.... I was strong and didn;t buy anything, only looked around,drooling adn drooling of course! So we spent some nice time outside and in the evening watched a bit tv, then Jan went to take a look in the cafe, and that left me in complete tranquility to do a bit on the computer, which went well! Sunday weather was much less, so we stayd in doing nothing LOL! Well, a bit tc, but that was more for Jan, I spent a lot of time again on the computer. 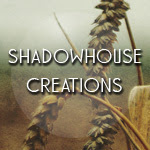 Oh my, I was busy, designing some more, uploading it all , it was a fruitful weekend. I also made a qp for my friend Minky, for her special blog. I'll show you the page, if you might want to have it go to her blog Minky's Things and read all about how you can get the link for download. 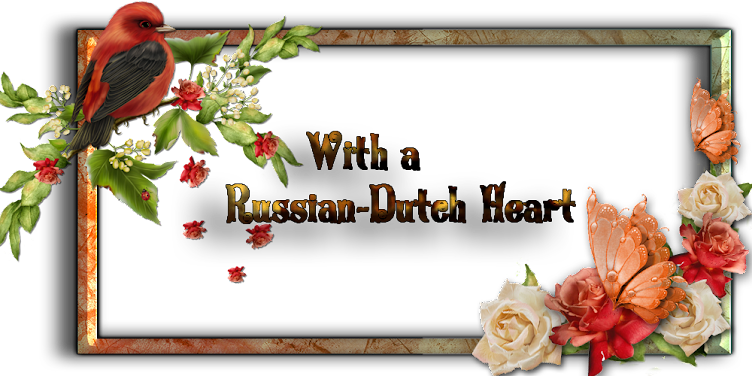 In the evening we had a real easy meal, cause Jan received again from the owner of the cafe some salted herring, some slices of smoked salmon and even some other fish, I had a simple saucage that I fried and made a little salad of sweet orange paprika and radishes. That was quick but oh so yummie! So after this relaxing weekend today we'll have to do some ordinairy stuff again, shopping for groceries, a quick tour with the vacuumcleaner, such things. But I;ll leve not before I give you the promised freebie. It's a kit I made for the colour challenge at the forum this month. Named"Approaching Autumn"
Now quick another coffee and posting at the forum, then off I must go. It was a late evening yesterday! Well, we finally got a chat in the new forum, although not everyone attended to it, which I thought was a pity. Still we tried to get to some decisions about the forum and in a few days I hope to have it all explained in there in a special post for the members. But.... for now we still have lots of things to share with you and that will not change I hope. We also had some good laughs during our chat, that we later continued on MSN. Why? Well, the chatbox is fine on the forum, but everybody can read the archives so it isn;t as private as the chatroom we had on the other forum. As we talk also about private things in our lives, we decided to use MSN. We do talk a lot about our lives on our blogs, but there are always things we don;t want the whole world to know, and then we should have a place where we can do that. In the afternoon I did a bit of designing on my seond series of Back to the Roots, but it will take a few days to get it all done. I really should take some time to burn some stuff on cd's too. It doesn;t take so much time, but I I always have other things to do and then leave it for another day. Not good. Perhaps this weekend I will actually do that. Then I also made a quickpage for the blog of my friend Minky, in fact a whole new blog, you can read all about it on her Minky's Things, and you will have to make a little effort to get the downloadlinks of all the wonderful gifts she so generously offers. Take a look, read well what she wrote (you'll have to go back perhaps a few days on her blog) and you will understand her action, I hope. My other friend Snowy, is getting real excited LOL! In about 6 weeks time she will be flying to the USA, to stay for a few weeks and at last meet her man of her heart, Erik, in person! It will be a very special event for both, after having talked on the phone, and writing letters to really be able embrace eachother. I sometimes feel as if I am an older sister(sometimes she calls me even one of her internet mothers, LOL, but that makes me feel real old, hahahaha) and I really do hope she will find her happiness and a new start of life overthere! Good luck Snowy from all my heart! Oh boy, I am going all soppy if I don't take care LOL. So here are two more pages and I do hope you all have a wonderful weekend! I am glad to say I could finish a few new things I made(only have to make preview and upload the stuff). Not saying though that it's going easy, nut bit by bit a little inspiration is coming back to me LOL. On the other hand I could do some emails, not yet did all the ones I wanted, perhaps today I can tackle one or two. And if all goes right, we should have a chat this evening(well for me it will be evening) at the forum! Most of us should be attending then. That's a good thing, getting together again after a long time no chat there!There are still some things to decide and such things are done easier if you have a direct contact. Well, hopefully it will be a fruitfull gathering, hahaha. Yesterday it was rather nice weather, although with a lot of wind. But in our garden we are pretty good sheltered from that. So with Jan we cleaned up the last bits of garden weeds and old plants in plastic sacks and in the evening we could put all on the street. Together with all the stuff I already got rid off earlier this week and the normal garbage sack, wow, I don;t know if the guys of the desposal car are happy with us! Also changed the bed linnen and there isn't much room anymore in the washing machine. Suppose tomorrow will be laundry day. In fact it was a very normal day yesterday, which means nothing much happened. Hey. could this be another short post? I suppose so. Next Tuesday will be our Prinsjesdag, the day the new government presents it's new program for the next year, in shorter form read by our Queen. But I wonder what they will have this year, cause there isn;t yet a new government! Hmmmm, we will watch it on tv( always nice to see, because the Queen arrives in the Golden Coach) and hear what she has to say. 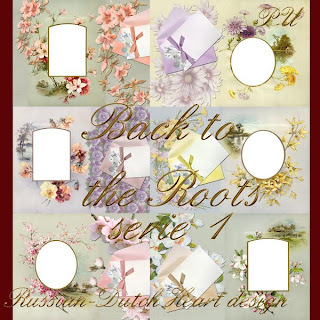 Okay, I have the second part for you of "Back to the Roots" and then I will first take another coffee and after that get dressed and do some things. Once you get started, all goes rather well, but getting started is the difficult thing LOL! I got just a little bit wet yesterday, it wasn;t too bad. Even the wind was supportable. Seems to be more wind today, but it looks friendlier at the moment, even some sunshine and blue sky. Hope that will last a little bit, so that I can go into the garden later, have to put some weeds and and old plant into a sack, and we can put it on the street this evening to be collected . But there was a BIG surprise for me when I got home from the shopping yesterday! My hubby got suddenly a mental derangement LOL and was making meatballs for dinner!!!!!!! Perhaps for a lot of you that isn;t something special, but as Jan isn;t much of the cooking type, that was a real surprise. So I had to do almost nothing for dinner. Wow! I had still a left over from brown beans from the day before, so all I had to do was cooking a few potatoes. And guess what? The meatballs were even not bad at all!. His action was feeling as a real treat for me! So I put away the groceries, then first took a sandwich and did a bit of dusting etc. in the house. 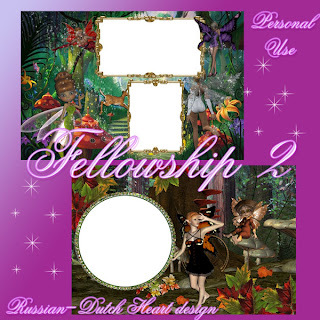 And then I could make the freebielist and also had even some time to make a freebie for you. I found some wonderful photocards that I used for these bragbook pages. They are from FarFarhill, and when I saw them I fell in love with them. I am planning to do more pages , but I am happy I had again a bit of inpsiration, and I think they ca make a nice start for a family album. 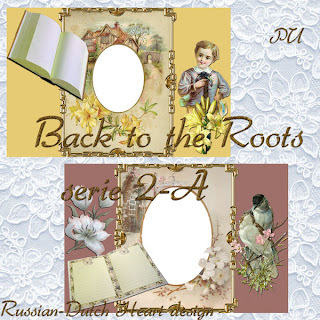 I think this is about all there is to tell for now, so I'll show you the preview of the "Back to the Roots serie 1"and I splitted it up in two pages in each download. We still don;t have a new government! Believe it or not, but there still isn;t a new government after we had the elections on the 9th of June!!! They are breaking up, coming together again, breaking up because of a crisis in one of the parties, etc. They still want to go on talking with the 3 parties together, they want to form a new government with two parties(so it will be a minority cabinet) but with a toleration-support of the 3rd one. I am not going to explain it all to you, I think it will be hard to understand for some of you, and I don;t want to do a political blogpost. Still I wanted to get this off my chest, I don;t think it will last 4 years in this formation, IF they come to an agreement. One party, VVD is a right wing orientated liberal, CDA Christian-Democrates(so more on the middle axe) and the 3rd is PVV , Party for the Freedom they call themselves, very on the right wing. I am sure a lot of people will not like what I say about them, but I find it a kind of dangerous party, and I am convinced that they only got so many votes from a lot of people because people had no confidence in the former government and parties anymore and thought:"Well, may be this party can make a difference for us "common"people so let's vote for them"
For all the problems in the economy at the moment, also in the social aspect and more, they are not having really a solution. It seems they have, but if you listen well, they always come with a same answer to all questions. And I certainly don;t like there attitude and ideas towards the lot of foreigners we have living here, main ones are the moslims. But when first you start putting aside one group, when you got rid of them you will have to find another one that you can blame for things that aren't going well in the country. So perhaps then it will be the Italians, then perhaps the Jews, then people with browns eyes, etc. And if we know a little bit of history, we know to what that can lead, don;t we? Remember WW2, and KKK in America?????? I better stop with this now, I know people won;t like what I said here, but I do think this and we still have the freedom of speech here and I can say what I think. So if I offended people, that is not the intention, but just ventilated my opinion about things. Pffewwww! I am not often talking this way, certainly not politics, but yeah, sometimes you get to think about it, LOL. Let's skip that now and go on to usual things/ Yesterday I really took a day of doing not much at all. I spend quite some time at the computer, even made some new things, but it is going still very slow! And also had to go through some long emails and thinking about the new forum and still have to answer a few mails. But for some of them you just have to be in the right mood LOL. Today I must do some shopping, fridge is running out of stuff again, only weather isn't looking that bright. I hope it will stay dry during the time I get out. And may be I will need a little brick in my pockets again, when I look at the trees the branches are doing heavy gymnastics, in other words, quite a strong wind outside. We will have to get used to that again, certainly in Autumn, but I think I will survive, hahahaha. Okay, that's about it, will have to do also the daily download posting at the forum and then I should get dressed and get moving! 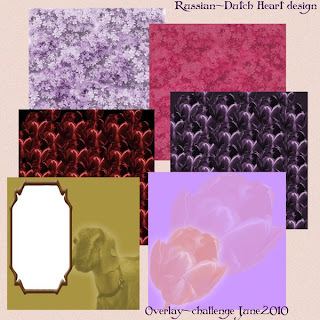 I have a little freebie for you today, some papers I made for a challenge. We had to make some overlays out of pictures of part of the pictures we took. I took some flowers for it, and may be some of you can use these papers, oh, there's also a quickpage in it. Hope that everyone had a nice weekend and a chance to chill out. We did that, in a way. Saturday the weather looked so nice, that we took a walk, but just a short one! Not far from the market, which is about a 20 minutes walk from our house, was a little fair, so we took a look there, It was nice to walk around for a moment. And because we were around the corner of the market we went there. In fact we wanted to take a look if the merchant for carpets was there, because we still need a new carpet in our room. And yes, the stand was there, but they didn;t have a lot of choice this time. They assured us that this week they were expecting a new stock arrival, so perhaps we will go next Saturday again. But I found something else on the market.! Oh my, what a shame, there was the stand again with LOTS of flower bulbs!!!! And if you like flowers, have a little garden is it then possible to resist the temptation?????? No, certainly not me! I could hold myself back buying more bulbs, you only have limited space in a small garden, but it's a difficult thing to do, believe me. There are so many lovely tulips( they also had some other flowers, but mainly tulips, cause now is the season to put them into the ground). You probably can guess what I did yesterday then? No, not yet, first I prepared dinner already early. Shall I tell you what I made? May be you can try it out sometime. I made a bechamel sauce to start with. I suppose you know how to do that(melt a bit of butter in a little casserole, then add some flower to it, keep stirring and let it become a compact masse. then start adding little by little some milk, keep stirring while you have the casserole on a middle fire. keep doing that until the sauce is very slowly falling of your spoon. ) I added some salt and pepper and also some fresh dill( you can also use dried one, but fresh is better of course) and at the end I added cooked little shrimps. I took Norwegian pink shrimps this time, because they are much cheaper than our Dutch shrimps, and they taste good in it too. Added also a little bit of grated cheese and put the mass in two small dishes, covered the stuff with a thin layer of bread crumpes. Now you only have to put them in the oven at about 200 C for 20 minutes. At dinner time I made a little salad with it and we had a delicious meal! I cleaned up all the mess in the kitchen and then on to the next job. Yes, planting the bulbs! I had to remove on some spots some ground covering plants to make place for the bulbs.Oh whee, can you imagine I planted 110 little bulbs??????? I surely hope they will grow well and if they do, we will have a lot of colour next April in our garden. I surely was glad I didn;t have more bulbs, because finished I really felt my back protesting! Evening was time to relax on the couch, watching a detective and little quiz and I went to bed rather early, before midnight, I think I needed it after my planting-session LOL! So that was in general the weekend and so we start another week. 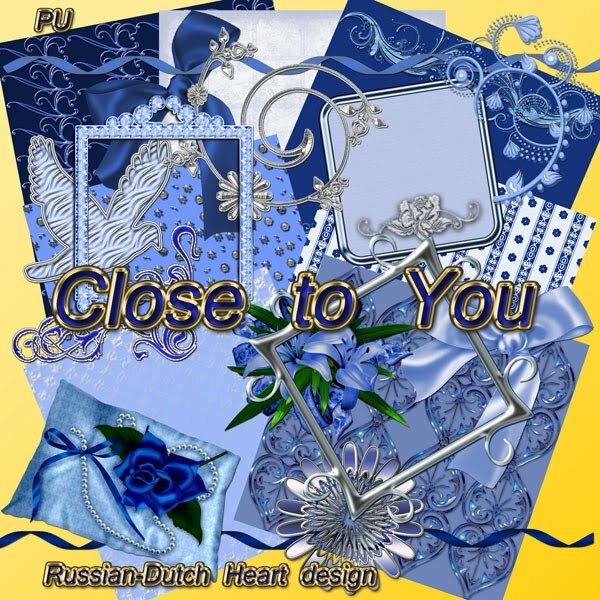 We start it with a kit for you, in a blue colourscheme, named "Close to You". Hope you will like it.